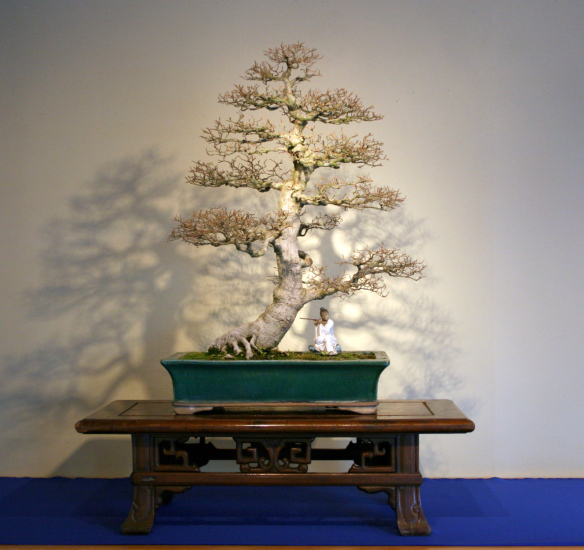 3 point disaply with Trident Maple, In training since 1895, Donated Prince Takamatsu, Mt. 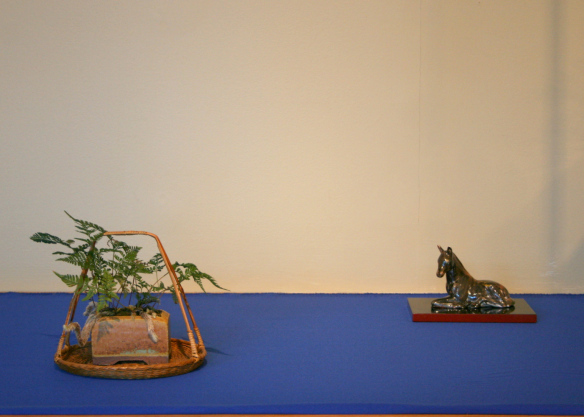 Fuji scroll, and Japanese Blood Grass. 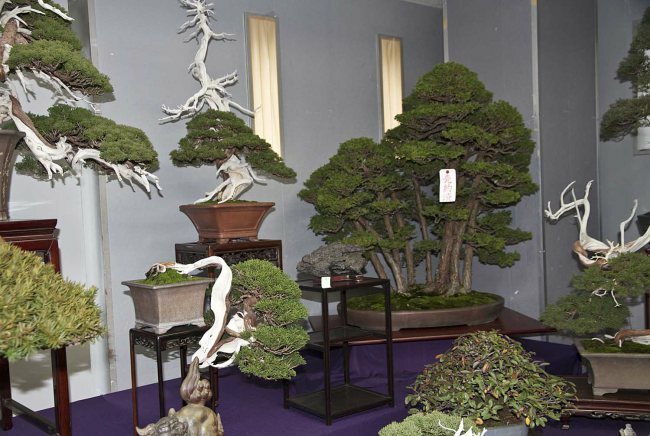 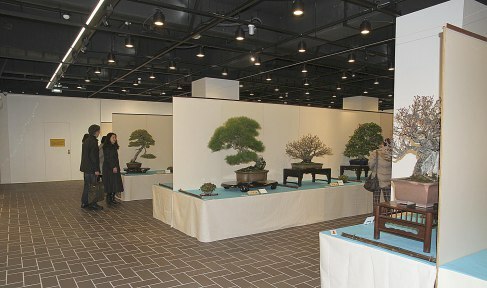 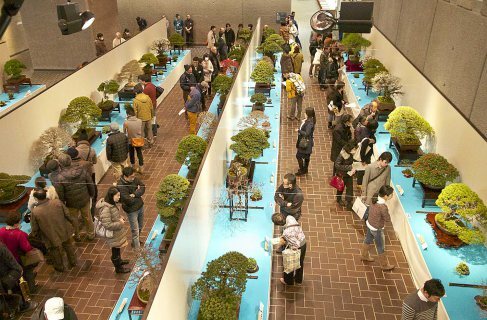 The sales area is a major part of most bonsai gatherings. 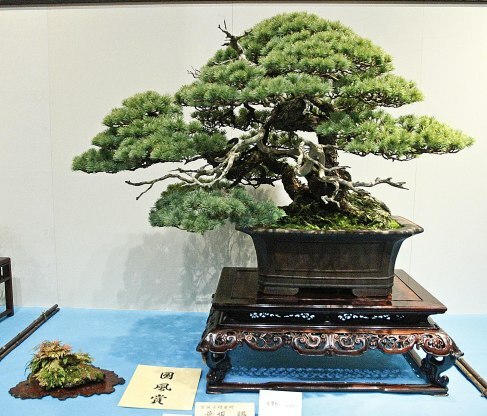 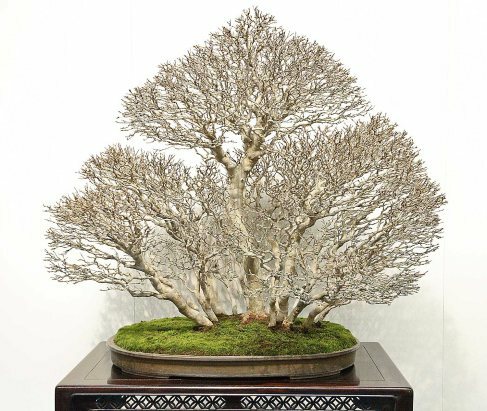 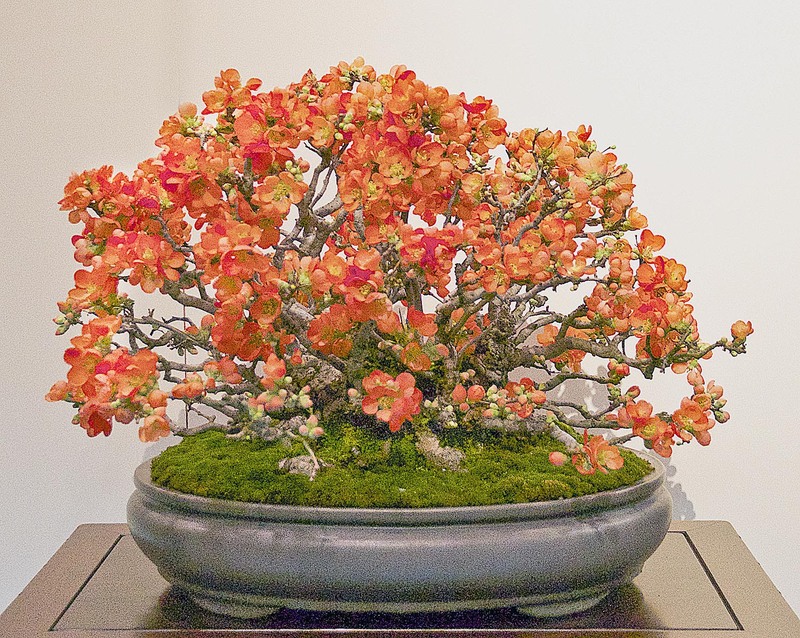 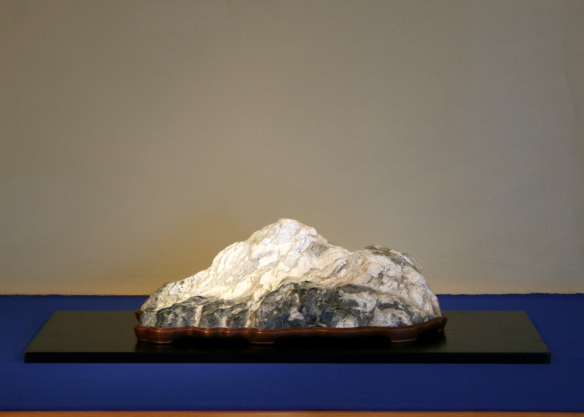 The sale of bonsai, suiseki and other accessories for the training and appreciation of the arts is necessary for the professional bonsai artists. 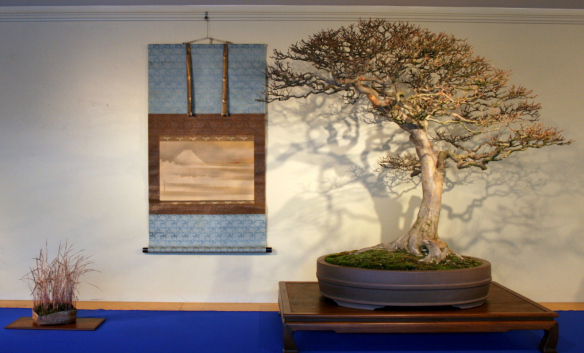 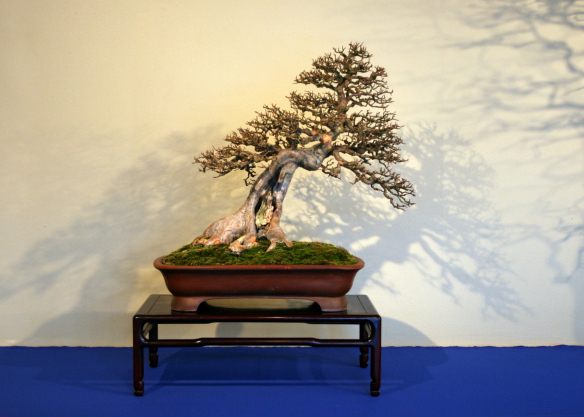 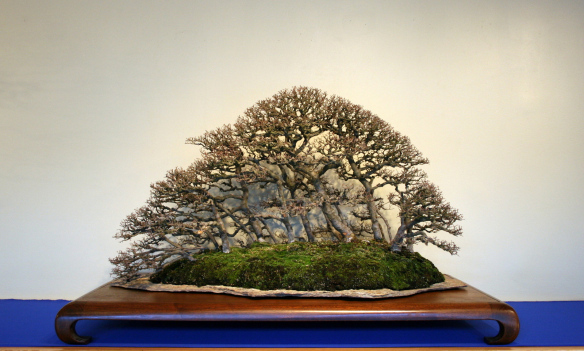 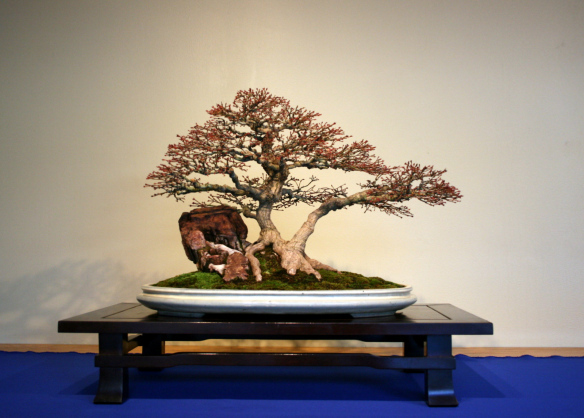 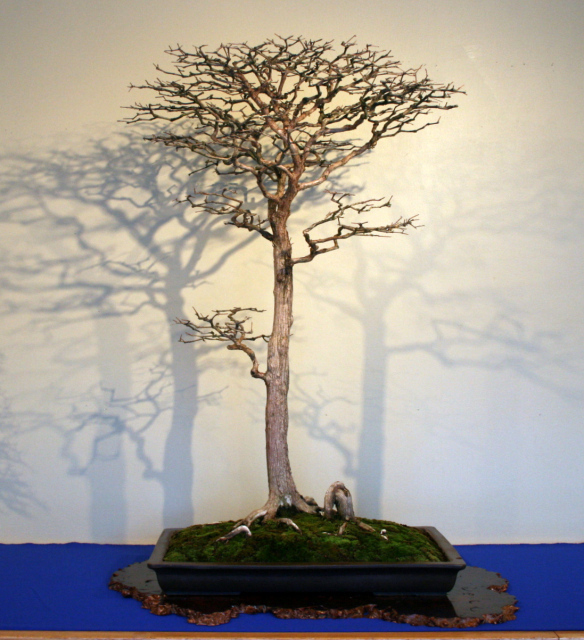 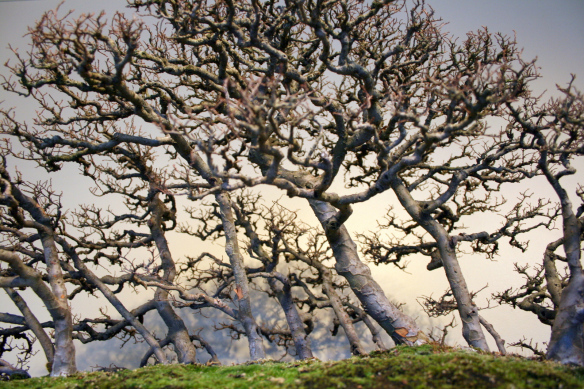 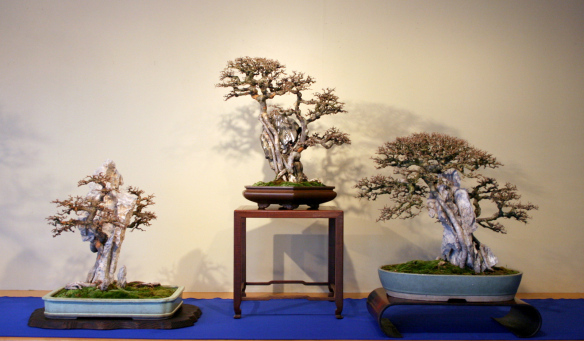 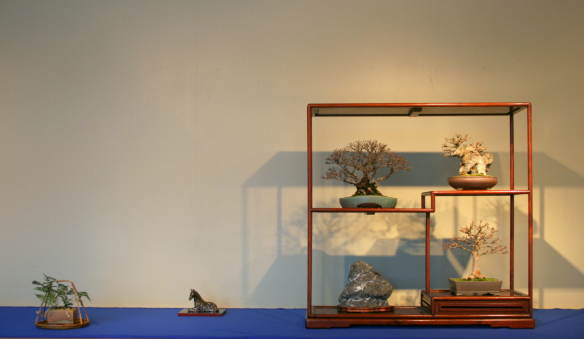 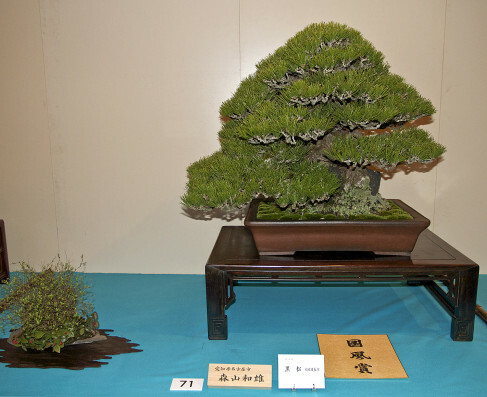 The Nippon Bonsai Cooperative is the professional organization for bonsai artists and growers. 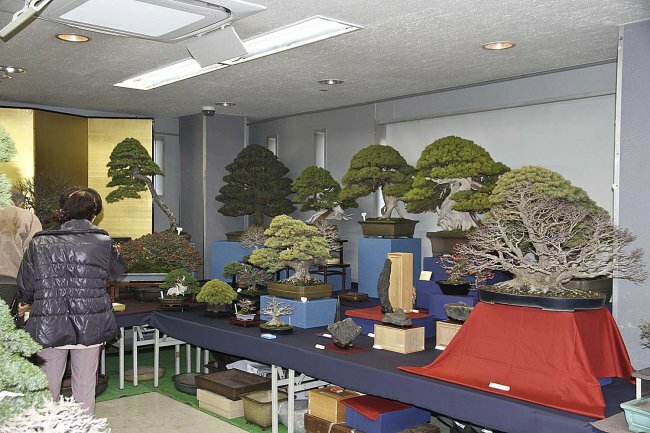 A small corner lot, near the Ueno Park Zoo has been leased to the Nippon Bonsai Cooperative for many decades at a low rental price. 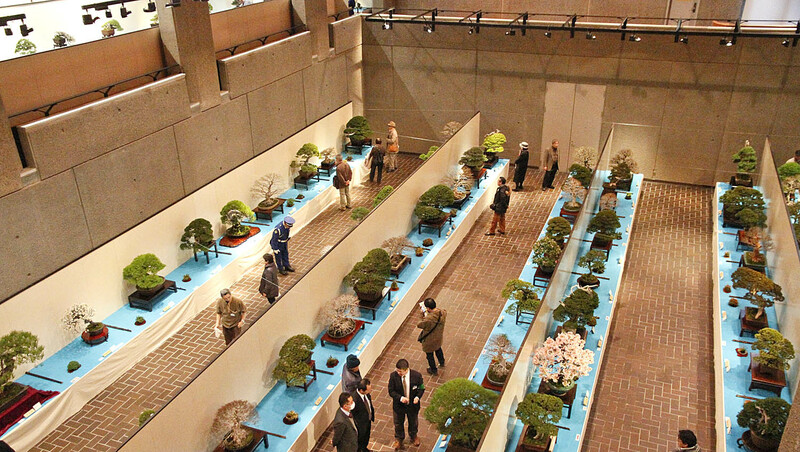 Across the street is the headquarters for the Nippon Bonsai Association, which is a different organization from the professionals.